Check out Tobi's Only One In The Sky Skater Dress Have everyone starry-eyed with the Only One In The Sky Skater Dress! 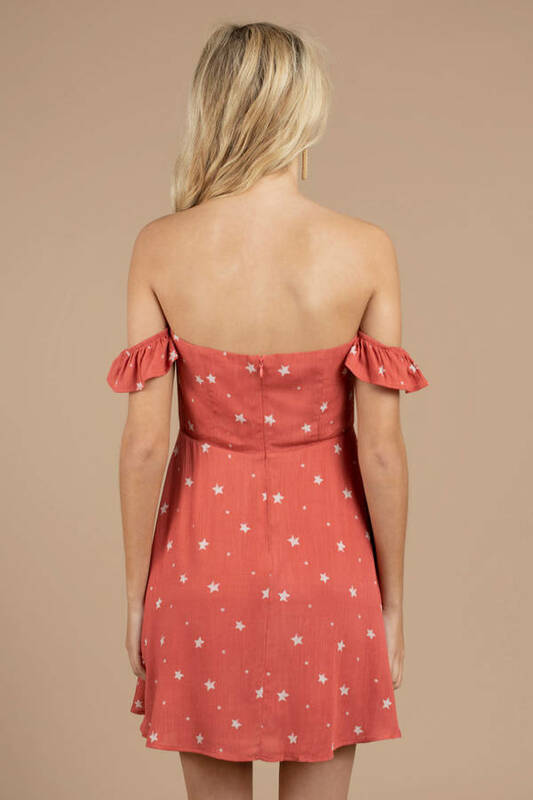 This lightweight rayon weave features a cute star-printed pattern with a front button up detail, off the shoulder ruffle sleeves, and a fully lined interior. Have everyone starry-eyed with the Only One In The Sky Skater Dress! 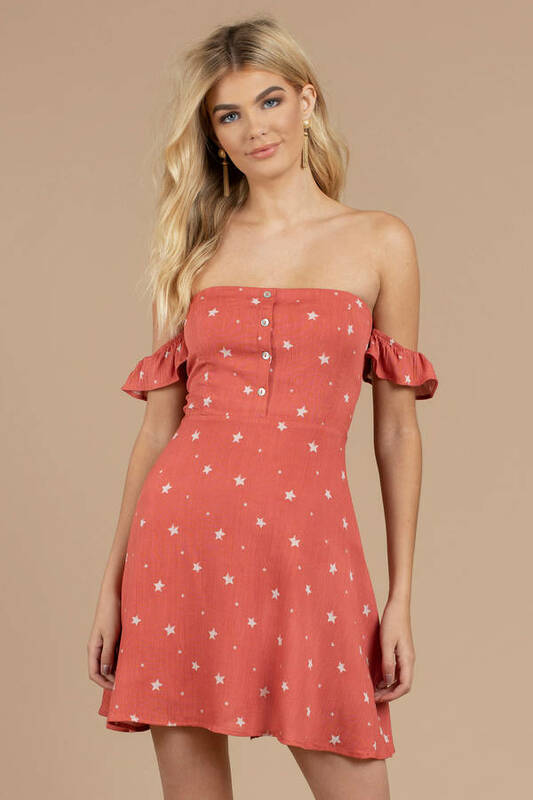 This lightweight rayon weave features a cute star-printed pattern with a front button up detail, off the shoulder ruffle sleeves, and a fully lined interior.